Ahh, who doesn’t love a good declutter? Credit, as always, goes to the wonderful Lia @ Lost in a Story for this decluttering idea! I’m far, far into my TBR now… find out how many books I’ve removed, so far, below! Synopsis: Who is the devil you know? Is it your lying, cheating ex-husband? Your sadistic high school gym teacher? Your boss who loves to humiliate people in meetings? The colleague who stole your idea and passed it off as her own? In the pages of The Sociopath Next Door, you will realize that your ex was not just misunderstood. He’s a sociopath. And your boss, teacher, and colleague? They may be sociopaths too. We are accustomed to think of sociopaths as violent criminals, but in The Sociopath Next Door, Harvard psychologist Martha Stout reveals that a shocking 4 percent of ordinary people—one in twenty-five—has an often undetected mental disorder, the chief symptom of which is that that person possesses no conscience. He or she has no ability whatsoever to feel shame, guilt, or remorse. One in twenty-five everyday Americans, therefore, is secretly a sociopath. They could be your colleague, your neighbor, even family. And they can do literally anything at all and feel absolutely no guilt. How do we recognize the remorseless? One of their chief characteristics is a kind of glow or charisma that makes sociopaths more charming or interesting than the other people around them. They’re more spontaneous, more intense, more complex, or even sexier than everyone else, making them tricky to identify and leaving us easily seduced. Fundamentally, sociopaths are different because they cannot love. Sociopaths learn early on to show sham emotion, but underneath they are indifferent to others’ suffering. They live to dominate and thrill to win. The fact is, we all almost certainly know at least one or more sociopaths already. 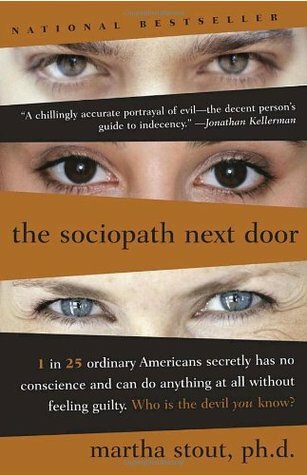 Part of the urgency in reading The Sociopath Next Door is the moment when we suddenly recognize that someone we know—someone we worked for, or were involved with, or voted for—is a sociopath. But what do we do with that knowledge? To arm us against the sociopath, Dr. Stout teaches us to question authority, suspect flattery, and beware the pity play. Above all, she writes, when a sociopath is beckoning, do not join the game. I was all for this novel from the synopsis, however loads of the top reviews give it a bad star rating so I think I’m just going to get rid of this one from my TBR, as I have so many other non fictions books like this on there! Synopsis: Days before his release from prison, Shadow’s wife, Laura, dies in a mysterious car crash. Numbly, he makes his way back home. On the plane, he encounters the enigmatic Mr Wednesday, who claims to be a refugee from a distant war, a former god and the king of America. Together they embark on a profoundly strange journey across the heart of the USA, whilst all around them a storm of preternatural and epic proportions threatens to break. The size of this book scares me but I am interested in giving it a read… some day. Synopsis: In the slums of eighteenth-century France, the infant Jean-Baptiste Grenouille is born with one sublime gift — an absolute sense of smell. As a boy, he lives to decipher the odors of Paris, and apprentices himself to a prominent perfumer who teaches him the ancient art of mixing precious oils and herbs. But Grenouille’s genius is such that he is not satisfied to stop there, and he becomes obsessed with capturing the smells of objects such as brass doorknobs and fresh-cut wood. Then one day he catches a hint of a scent that will drive him on an ever-more-terrifying quest to create the “ultimate perfume” — the scent of a beautiful young virgin. 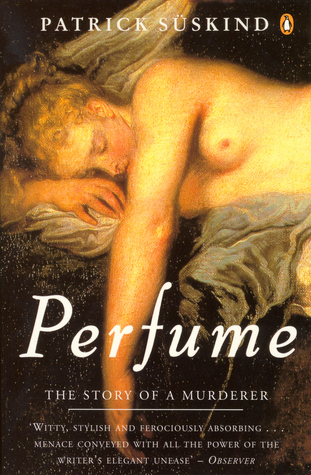 Told with dazzling narrative brillance, Perfume is a hauntingly powerful tale of murder and sensual depravity. Janel was lovely enough to send me her old copy of this novel so I definitely am interested in reading it. I just know to expect something different from what I initially thought this book was going to be about. Synopsis: The summer of ’28 was a vintage season for a growing boy. A summer of green apple trees, mowed lawns, and new sneakers. Of half-burnt firecrackers, of gathering dandelions, of Grandma’s belly-busting dinner. It was a summer of sorrows and marvels and gold-fuzzed bees. A magical, timeless summer in the life of a twelve-year-old boy named Douglas Spaulding—remembered forever by the incomparable Ray Bradbury. Oh god this sounds boring. Not for me. Synopsis: A carnival rolls in sometime after the midnight hour on a chill Midwestern October eve, ushering in Halloween a week before its time. A calliope’s shrill siren song beckons to all with a seductive promise of dreams and youth regained. In this season of dying, Cooger & Dark’s Pandemonium Shadow Show has come to Green Town, Illinois, to destroy every life touched by its strange and sinister mystery. And two inquisitive boys standing precariously on the brink of adulthood will soon discover the secret of the satanic raree-show’s smoke, mazes, and mirrors, as they learn all too well the heavy cost of wishes – and the stuff of nightmare. So I think this book is connected to the other one as they both has the grey bit on Goodreads with a series link, but I’m getting this feeling they’re just based in the same town and it’s not a carry on from the previous story. This one sounds much more interesting to me, cause it’s horror n that. 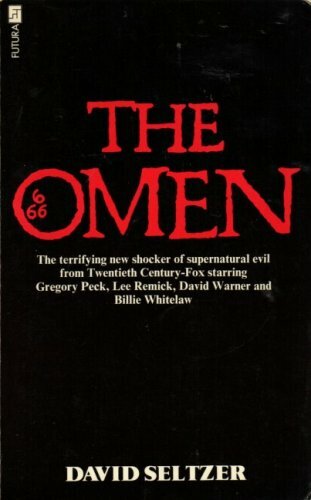 Synopsis: Jeremy Thorn, United States Ambassador to England, and his wife Katherine become the parents of a beautiful boy whose destiny is to fulfill the most horrible prophecy ever made. Yes, 100 times yes. I most definitely want to keep this book on my TBR! Synopsis: It’s 1924 and the race to summit the world’s highest mountain has been brought to a terrified pause by the shocking disappearance of George Mallory and Sandy Irvine high on the shoulder of Mt. Everest. By the following year, three climbers — a British poet and veteran of the Great War, a young French Chamonix guide, and an idealistic young American — find a way to take their shot at the top. They arrange funding from the grieving Lady Bromley, whose son also disappeared on Mt. Everest in 1924. Young Bromley must be dead, but his mother refuses to believe it and pays the trio to bring him home. Deep in Tibet and high on Everest, the three climbers — joined by the missing boy’s female cousin — find themselves being pursued through the night by someone . . . or something. This nightmare becomes a matter of life and death at 28,000 feet – but what is pursuing them? And what is the truth behind the 1924 disappearances on Everest? As they fight their way to the top of the world, the friends uncover a secret far more abominable than any mythical creature could ever be. 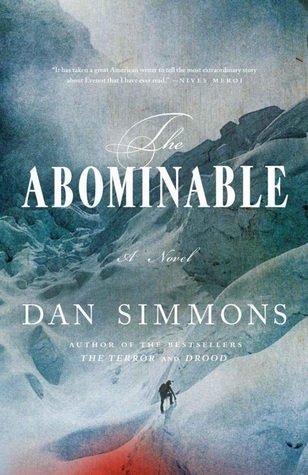 It’s a mountain horror story… of course I want to read it! It’s my favourite genre of horror. Plus the cover is just sooooo pretty. Synopsis: Peter is quick, daring, and full of mischief—and like all boys, he loves to play, though his games often end in blood. His eyes are sparkling gold, and when he graces you with his smile you are his friend for life, but his promised land is not Neverland. Fourteen-year-old Nick would have been murdered by the drug dealers preying on his family had Peter not saved him. Now the irresistibly charismatic wild boy wants Nick to follow him to a secret place of great adventure, where magic is alive and you never grow old. Even though he is wary of Peter’s crazy talk of faeries and monsters, Nick agrees. After all, New York City is no longer safe for him, and what more could he possibly lose? Accompanying Peter to a gray and ravished island that was once a lush, enchanted paradise, Nick finds himself unwittingly recruited for a war that has raged for centuries—one where he must learn to fight or die among the “Devils,” Peter’s savage tribe of lost and stolen children. There, Peter’s dark past is revealed: left to wolves as an infant, despised and hunted, Peter moves restlessly between the worlds of faerie and man. 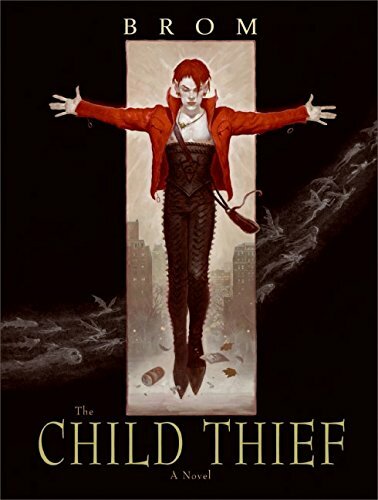 The Child Thief is a leader of bloodthirsty children, a brave friend, and a creature driven to do whatever he must to stop the “Flesh-eaters” and save the last, wild magic in this dying land. You know, I’ve never read a retelling and I’m only just coming around to the idea of them. This has pretty good reviews and I like the thought of a dark Peter Pan, so this stays. Synopsis: When Philo Drax receives a letter from her wealthy grandfather saying he fears for his life at the hands of the vicious Slape family, she rushes to the rescue. But too late! Katie Slape, a monstrous girl with psychic powers and a penchant for smashing skulls with her hammer, has already finished him off and gotten hold of his cash. 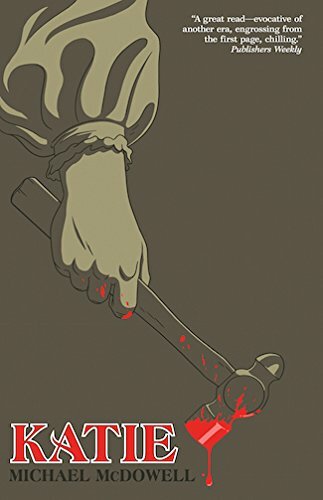 Determined to track down the murderers, Philo hunts Katie and her family through the streets of 1860s New York, where the Slapes’ coffers are filling up with money as their cellar fills up with corpses. But going after the Slapes might be the worst decision of Philo’s life, for no one escapes the bashing of Katie’s hammer! I really wasn’t that drawn to this one from the synopsis, but the reviews are glowing! So I think I’m going to keep it around. Synopsis: In the wake of a destructive Maine summer thunderstorm, an impenetrable mist descends from the direction of a local military facility and infiltrates the small town of Bridgton. David Drayton and his son Billy are dragged into a living nightmare as unnatural and violent forces concealed by the mist begin to emerge, wreaking havoc in their wake. Now trapped in the local supermarket with a ragtag group of survivors, David unexpectedly faces a growing threat from within, one that promises to challenge the boundaries of sanity itself. In this horrifying mist, hearing is seeing—and believing. And what you’re about to hear, you’ll never forget. It’s a King book, it stays. Not such a great removal week this week. Only 2 books down, but it’s better than nothing! How many of these books do you know and want to read? Do you disagree with any of my verdicts? Let me know! Yeah it might not be great for a non-horror lover! 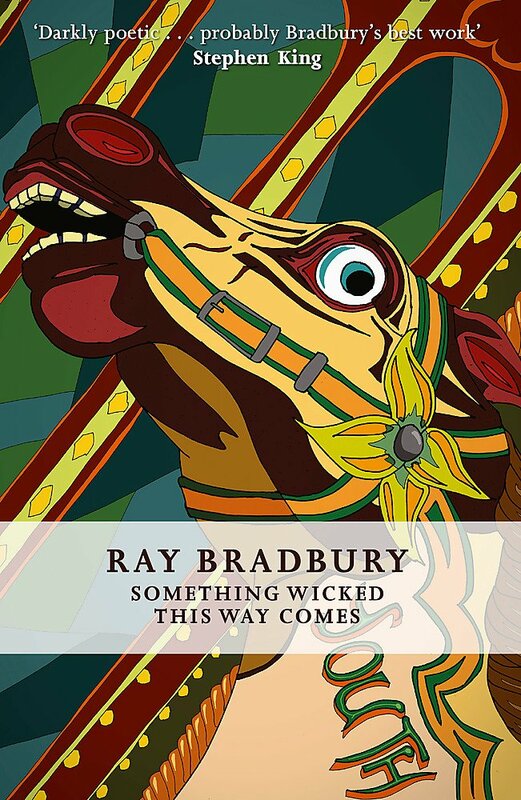 I read Something Wicked This Way Comes last October and really enjoyed it! Glad you kept it 🙂 and I like a good mountain thriller so The Abominable looks good to me! I’m glad you’re sticking with Perfume, one of the few truly original books, beautiful and disturbing. 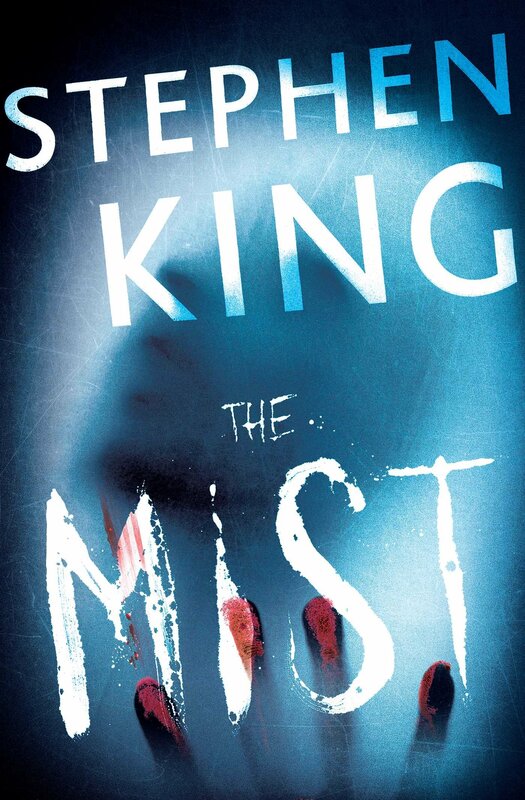 I couldn’t get into Stephen King’s The Mist though, I love a lot of his stories, but that was one that just seemed to ramble without aim, I look forward to reading your take on it, maybe I missed something. I read Something Wicked This Way Comes a while ago (long enough that I don’t remember much about it except that it creeped me out) but I think I’m going to have to re-read it. 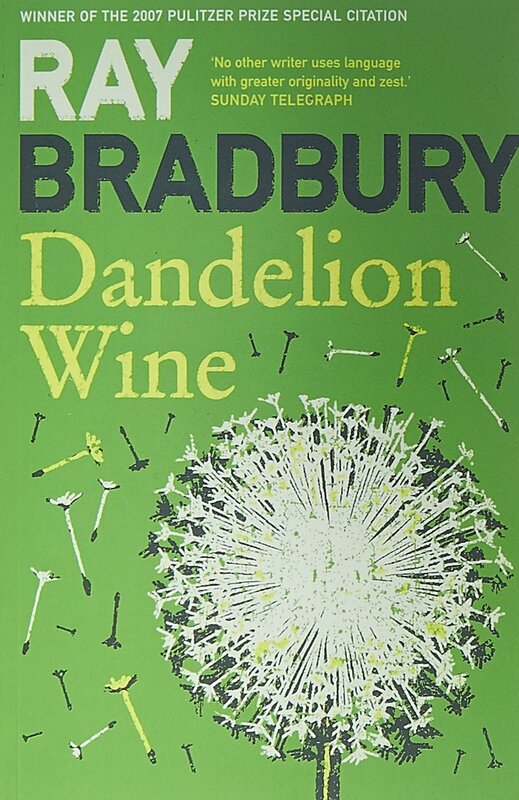 I didn’t read Dandelion Wine, though, so I don’t think that’s necessary for Something Wicked. 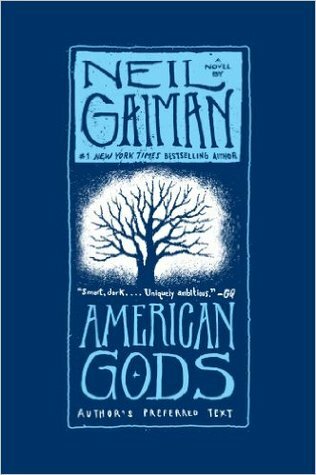 And I’m 100% with you on American Gods. The only reason I haven’t read it already is how loooong it is.